At Chabad, all Jewish Holidays are community affairs in every sense. 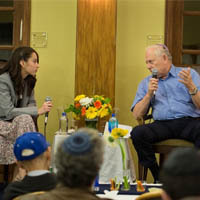 Hundreds attend Chabad’s High Holiday programs and services. 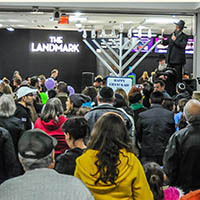 Many more join in pride for the Chanukah celebrations. 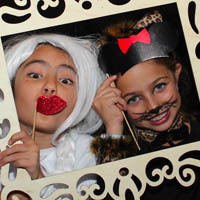 A lively spirit of story and song captivates young and old at Purim parties, community Passover Seders and Friday Night Dinners. The Jewish Learning Institute is recognized as one of the most innovative and premier adult education programs. Its catalogues of classes and workshops offer subject matter ranging from historical to the philosophical. JLI’s students tend to come from all segments of the community, arousing broad-based interest in Judaic scholarship and a passion for deeper knowledge and understanding. Our Preschool, Hebrew School and Shabbat programs have a distinctive way of kindling a child’s curiosity about their culture and heritage from the earliest of ages. Pre Holiday workshops transform age-old Jewish rituals into hands-on projects that are educational and fun. The "Shofar Factory" and "Matzah Bakery" enable children to discover Jewish practice in the most stimulating and meaningful way of all: They experience it. Whether visiting the sick, counseling the troubled, comforting the bereaved or providing for the needy, Chabad opens its doors and its hearts to those in crisis or distress. Be it a helping hand, a comforting shoulder or a timely referral, Chabad discreetly dispenses love, wisdom and support to all who reach out for it. Chabad reaches out and brings the joys of tradition to the community via creative outreach programs. 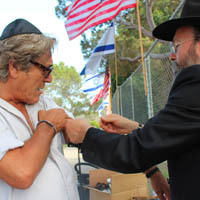 Chabad’s outreach endeavors have undoubtedly enhanced Jewish life in Cheviot Hills and its surrounding communities.